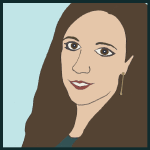 Just a quick flash freebie today, for a limited time only! Although Halloween can often get our students crazy, I'd be lying if I didn't admit that I love it anyway! I love dressing up, I love pumpkin flavored everything, I love Reece's Peanut Butter cups (to me, those are the THE quintessential Halloween Candy) but the part I love most about fall is the fall colors. 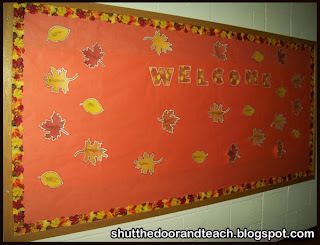 You wouldn't know it to look at my blog or classroom, but those colors (my classroom color scheme takes its cues from the existing furniture) but reds, oranges and browns are the colors I use for my home. And although I don't like getting up in the morning to a chill in the air, driving to work with the sun hitting the brilliant New England foliage is always a treat. 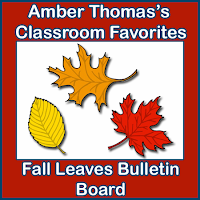 To celebrate fall, I'm offering my Fall Leaves Bulletin Board set for FREE for today only. 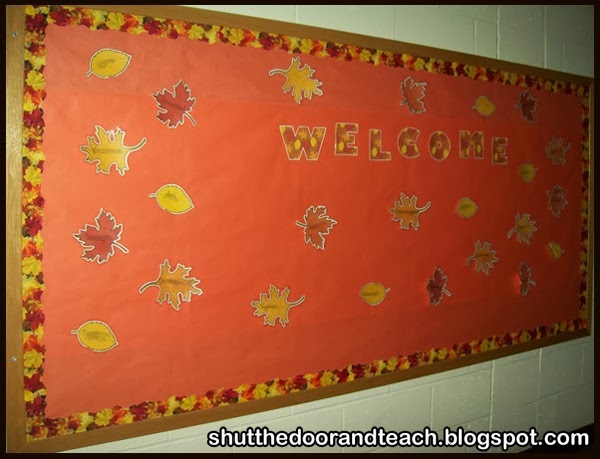 It's perfect for back to school (it includes coordinating letters that spell "Welcome") or of course the leaves can be used alone for a fall tree. 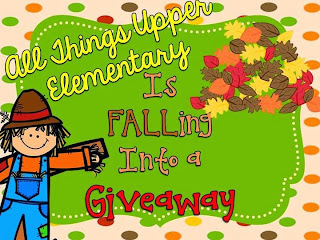 Also, come check out the giveaway going on at "my other blog," a collaboration of a group of upper elementary teachers at All Things Upper Elementary. This time around we are giving away gift certificates to Teachers Pay Teachers, and there will be multiple winners! Good luck! 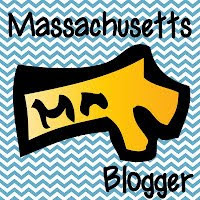 Surprise Sale and a Giveaway!